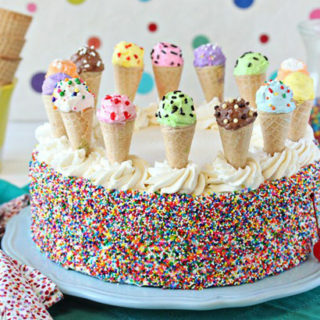 Summer might be coming to an end, but let’s not pretend we don’t all eat ice cream all year round! 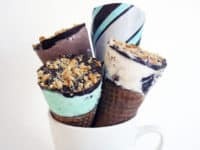 Ice cream makes a great snack, but besides being delicious, things like ice cream sundaes are also just completely adorable looking. 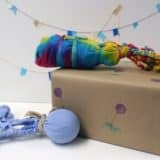 If you’ve been to our site before, you might have noticed that crafting is one of our favourite ways to celebrate the things we really like! 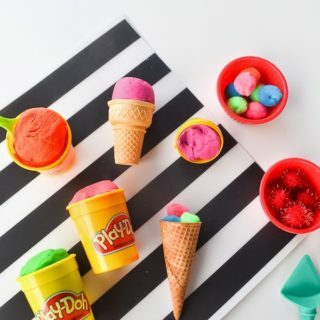 Check out these 15 adorable ice cream-themed crafts and DIY projects that are perfect for anyone who likes the cheerful look of ice cream, even if you don’t like eating it. 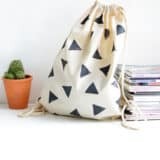 Cutting patterned fabric into fun shapes in order to make appliques is one of our favourite ways to alter clothing! 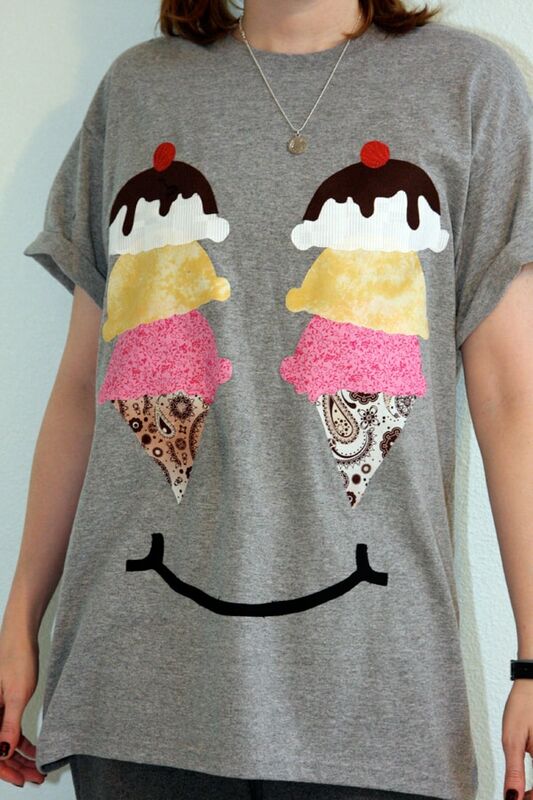 As you can imagine, then, we absolutely adore the way this layered ice cream cone design from Chic Steals looks! 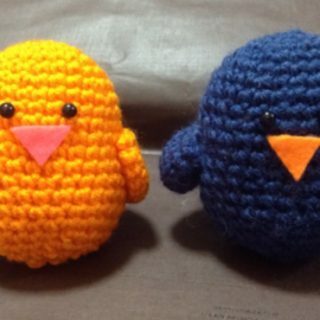 Sometimes the fun DIY part of a gift is in putting together the pieces of a project for someone else to have fun making, rather than actually making the final product yourself. 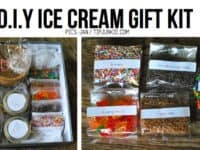 That’s exactly what Tip Junkie shows you how to do in this tutorial for DIY ice cream making kits, which make perfect party favours! 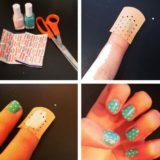 Transfer tattoos are a fun treat no matter what they look like, but they’re even more fun when you make them yourself! 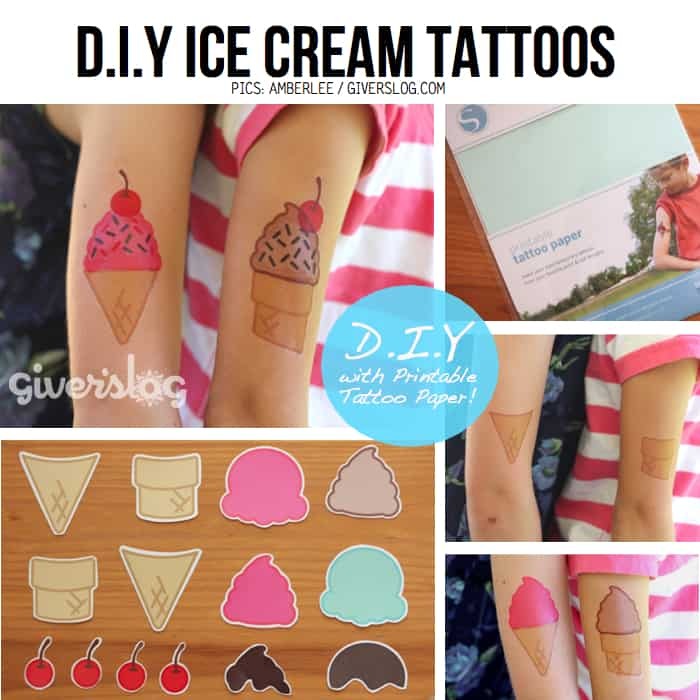 What could be better for a temporary summer tattoo than an adorable customizable ice cream cone? 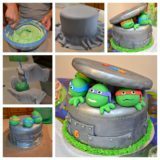 Check out how they’re done on Giver’s Log. 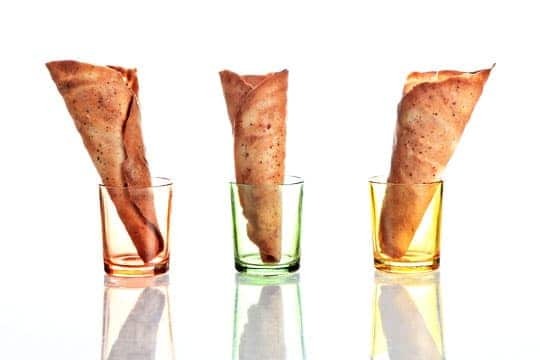 You might already have a nice, big tub of your favourite ice cream back at home, but what if you’d rather eat it from cones instead of bowls? 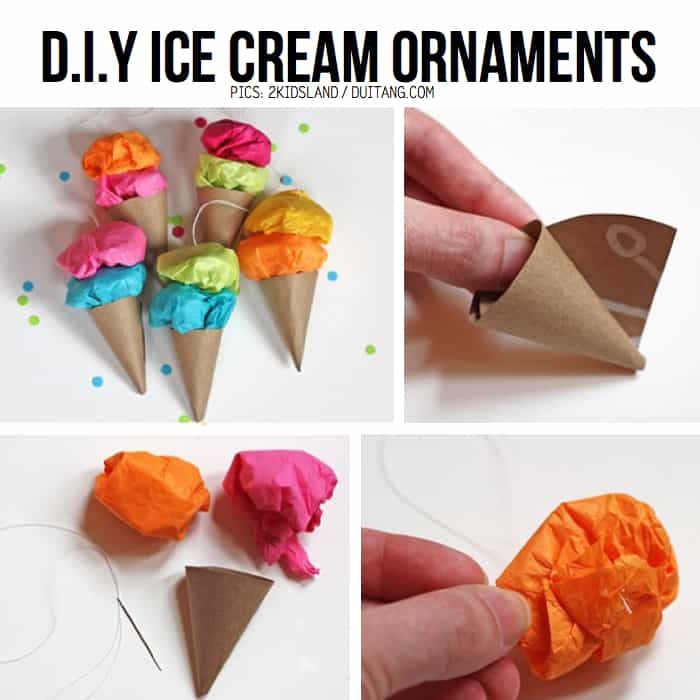 Sure, you could go buy cones from the store, but as we’re sure you can imagine, we’d rather make our own! 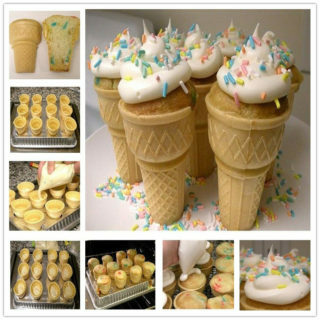 Get this deliciously sweet cone recipe from The Ktchn. 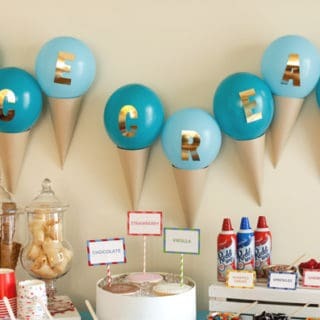 Are you throwing a summer party that need just one more cute decorative touch? 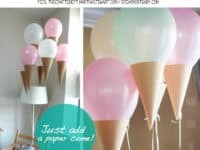 Grab some pastel balloons and turn them all into ice cream cones instead of just regular balloons! 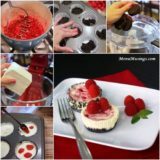 Spearmint Baby shows you how it’s done (and you’ll love how easy it is). 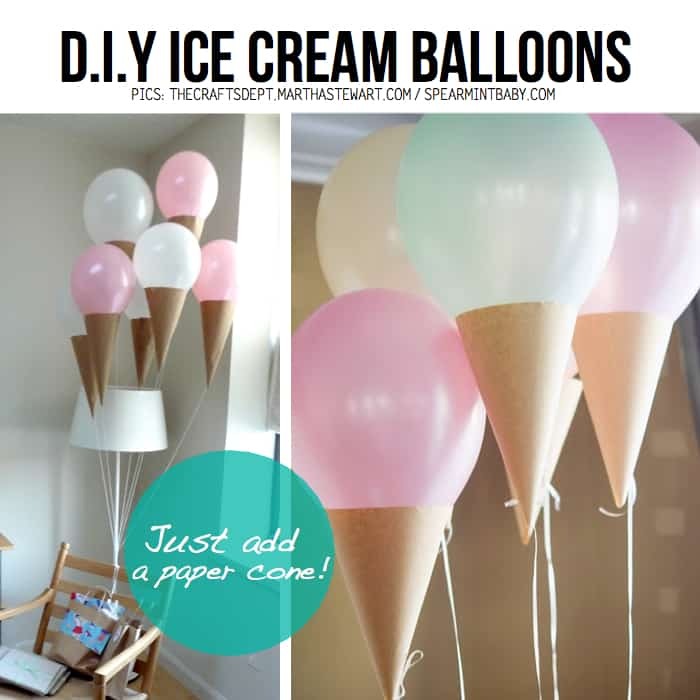 Perhaps you love the idea of incorporating ice cream into your party them, but balloons aren’t really your thing? 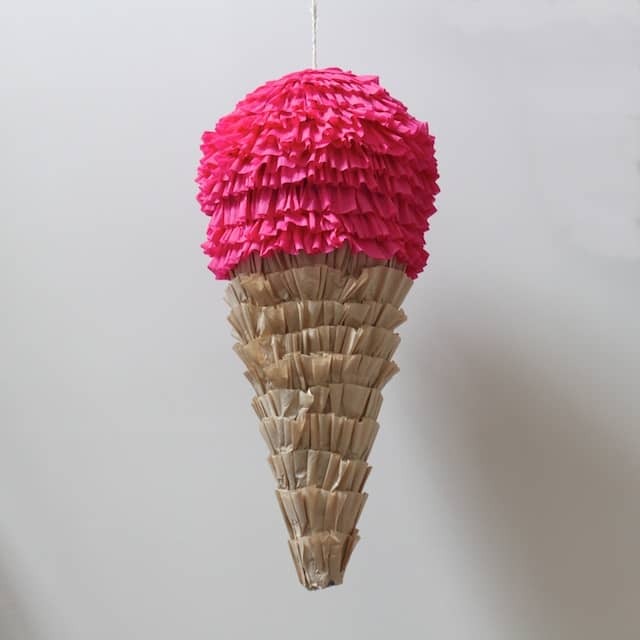 Check out this adorable ice cream cone pinata instead! 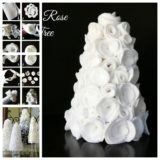 Simply Modern Mom shows you how easy and fun it is to make, even though the tissue paper outside looks very detailed. 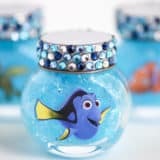 Do you love the way small hanging ornaments look no matter where they’re hung? 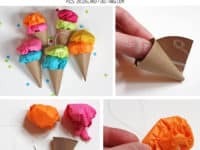 Then you’ll be a big fan of these neat little hanging ice cream cones by Duitang made from card and coloured tissue paper! 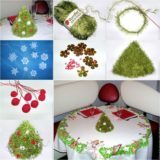 Hang them along a garland string in your bedroom or even on your Christmas tree to remind you in the cold season that summer is coming. 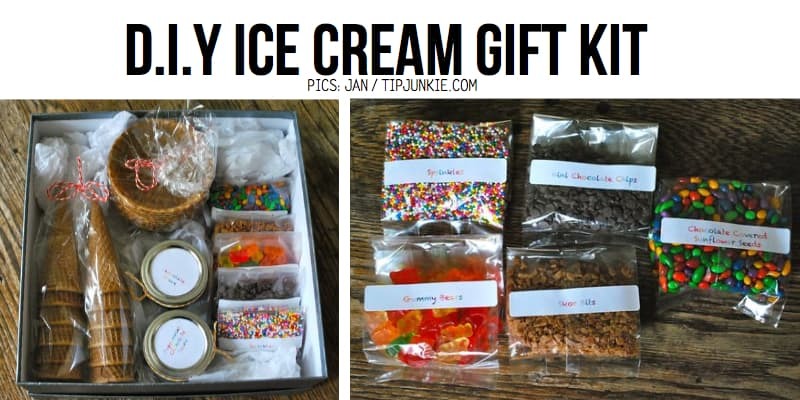 Would you rather take the term “DIY ice cream” more literally and actually make your own ice cream? 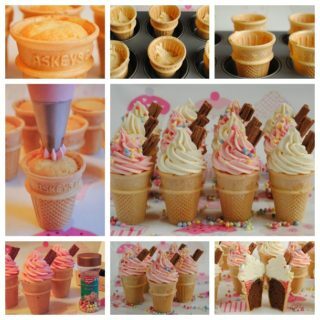 Then consider going all out and making not just the ice cream but the cone too! 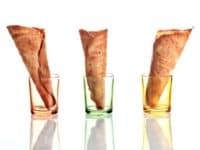 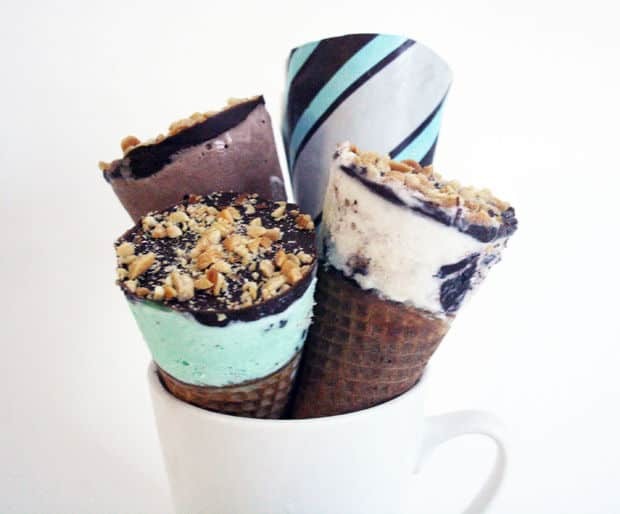 This delicious cornetto recipe from Instructables makes our mouths water just reading through it. 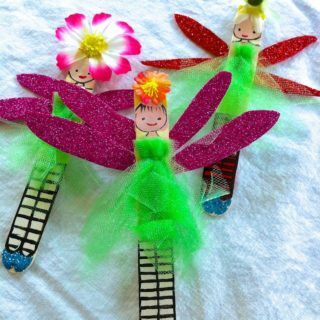 Do you think crafts that upcycle are the best kinds of crafts? 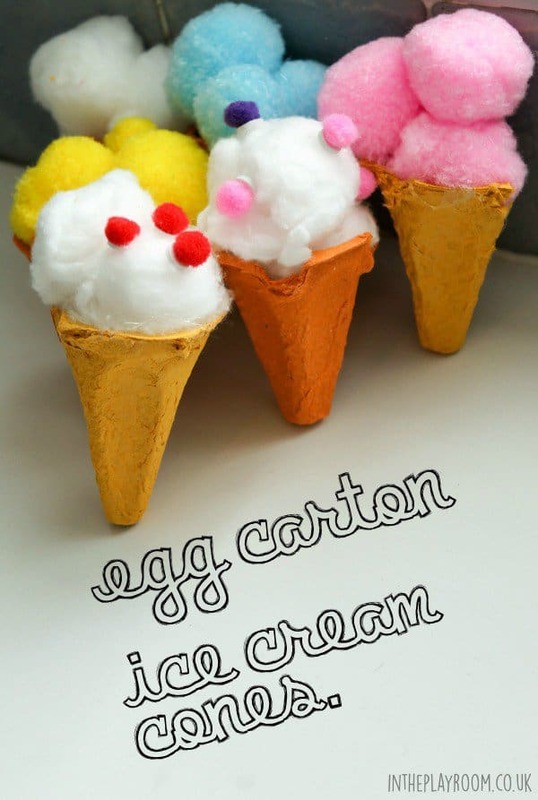 Well, here’s one that combines upcycling and ice cream, so how great is that? 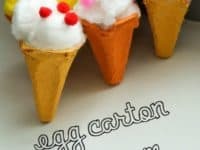 Check out how In The Playroom made cones from the cups of an empty egg carton and adorable little ice cream scoops from little pom poms! 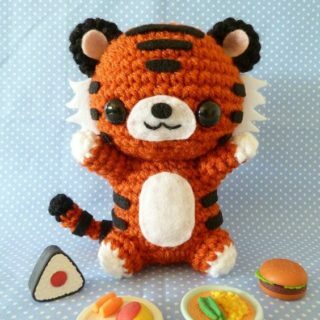 Do you love making crafts that look incredibly realistic, even though they’re not the real thing? 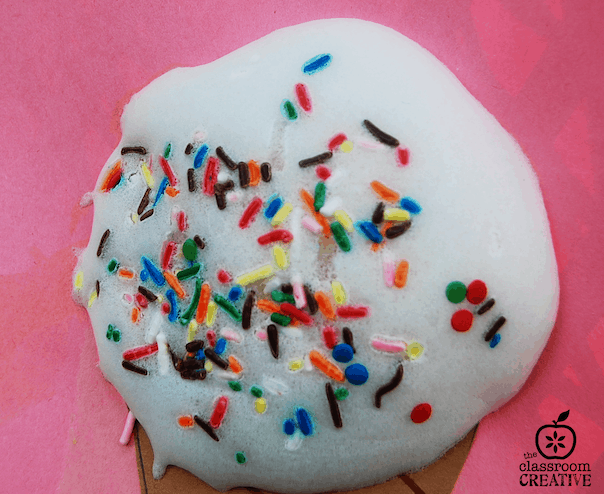 We really enjoy that idea for ice cream, because this project will never melt! 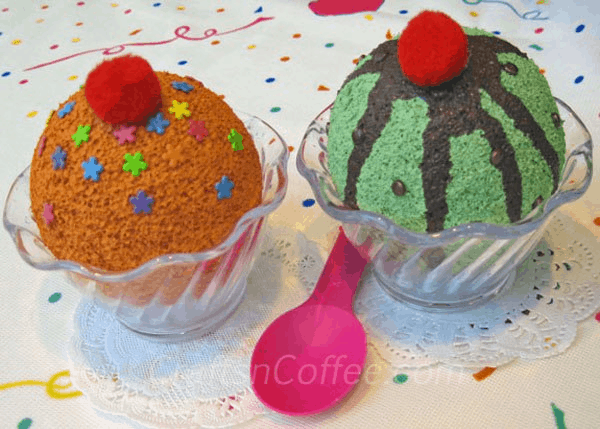 Check out how Crafts n’ Coffee painted and decorated these styrofoam balls too look like actual little scoops of ice cream. 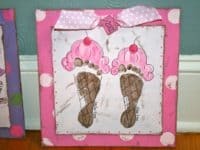 Are you looking for a hilarious novelty way to document your child’s footprints as a piece of cute, nostalgic home decor? 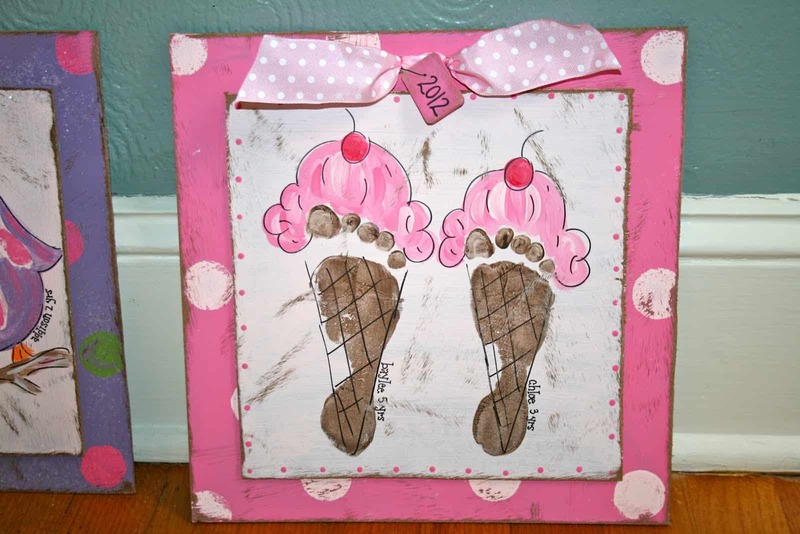 We absolutely love this wall art idea from Painting Me Happy where you turn the sandy coloured footprints into cones and paint a fun coloured ice cream scoop on top. 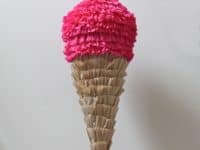 The Classroom Creative guides you through the process of creating a 3D, textured ice cream cone out of dried white school glue. 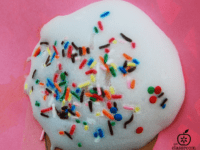 Our favourite part, though, is definitely the way they used real sprinkles in the glue! 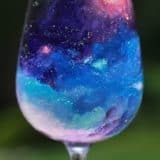 Once it’s dried, they’ll stay as part of the craft and give an awesome kick of colour. 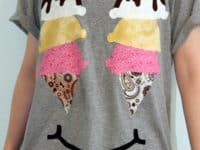 Cool down in your own, unique DIY style this summer and beyond with these Ice cream themed crafts! 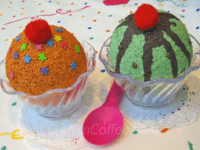 Top 10 Ice Cream Crafts: You’ll Wish They Were Edible!